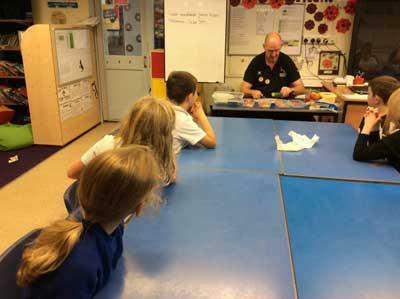 On Monday afternoons this term Keith Robinson has been coming into school to work with Class 2 for the afternoons. The theme for the sessions has been ‘something to chew on’ this is a programme funded by the government. 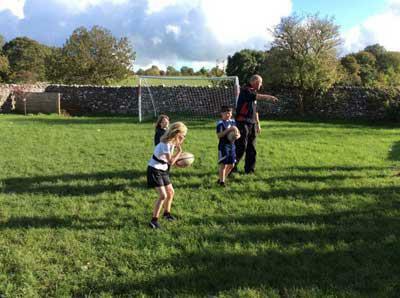 Keith has taught the children healthy eating and also tag rugby. The class have looked at what rugby players need in their diet and how it is different to ours. Class 2 have really enjoyed learning about the food groups on the ‘eat well plate’ and where the food belongs. They also learnt about cross contamination, food safety and designed their own meals. 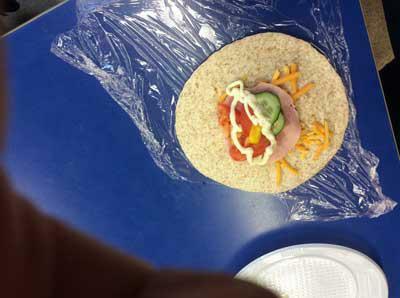 On their last session the enjoyed making healthy wraps. In the tag rugby sessions they have worked on their passing skills, where to position themselves and they have taken part in games. The Y3/4’s are taking part in a tag rugby festival organised by Keith this coming Wednesday.